Similar to most releases, Red Dead Redemption 2 features a day-one patch. The fixes and improvements implemented by the patch seem standard, optimizing performance, ironing out bugs, etc. A post on the Rockstar Games support page provides a brief overview of what to expect from the patch. The Day-One Title Update includes a range of across-the-board improvements and bug fixes for optimal performance. We strongly recommend making sure you have downloaded the Title Update before launching the game, to ensure the best possible gameplay experience. In addition to the above overview, the day-one patch’s file size also received mention. On the PlayStation 4, the file takes up 3.30GB worldwide; in Japan, the size is 3.02GB. On Xbox One, the file runs a littler smaller at 3.2GB worldwide; it’s 2.9GB in Japan. The extra 3GB adds to the already beefy size of the core game. 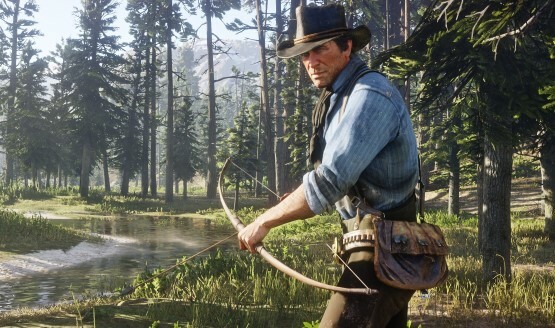 In other news, reviews for RDR2 recently went live across the web. By all accounts, Rockstar’s latest venture into the American West is a triumph of both its genre and the medium at large. Our review praises the vastness of the world, Rockstar’s incredible attention to detail, and the game’s overall production value. After eight years of waiting, Red Dead Redemption 2’s release date is nearly upon us. Return to Rockstar’s iteration of the Western frontier on October 26, 2018.